Ideal for leaving on full time. 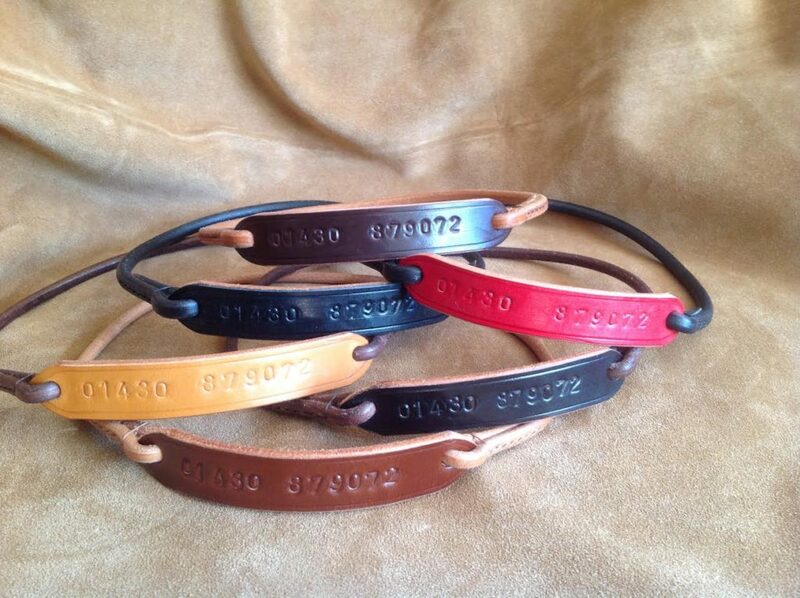 This leather ID Collar is made with solid round leather in 5mm or a slightly heavier 6mm for larger dogs. 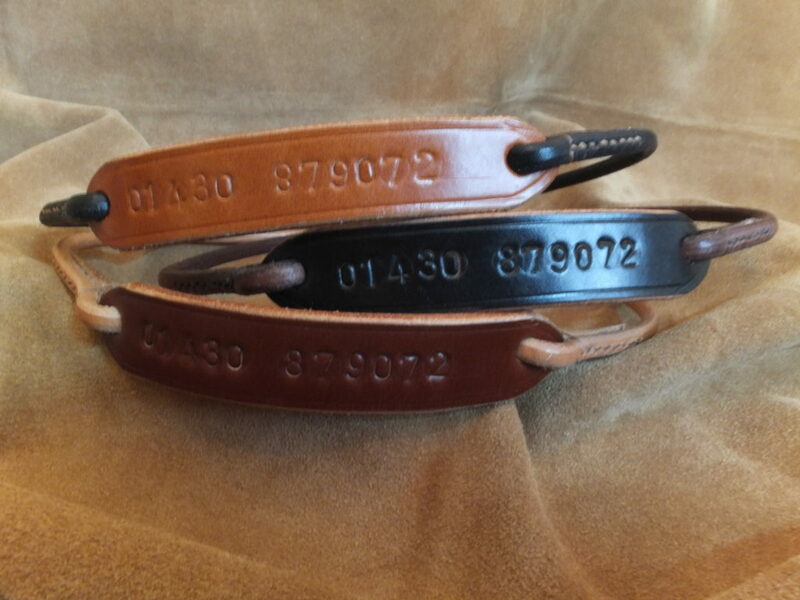 The ID section is bridle leather and can be stamped with a telephone number or a house number and post code.Ideal for leaving on your dog full time,its light weight and the round leather sits comfortably on your dogs coat, no noise from metal tags!. It can be made in a selection of colours , mix and match. The measurement for this ID collar needs to be taken around the dogs head over the ears, at the widest point, as this slips on over the dogs head.